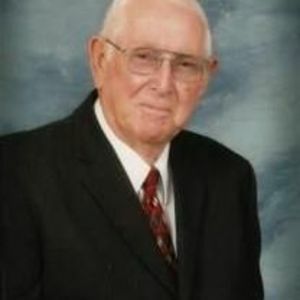 Mr. James Daniel Griffin, 88, went to be with the Lord on Monday July 3, 2017 at his home. Funeral services will be Thursday, July 6, 2017 at 2:00 P.M. at Christian Chapel Church of Christ on Prison Camp Road. Visitation will be on Wednesday evening from 6 until 8:00 P.M. at the church. James was a farmer for much of his life, and went on to work at Weyerhaeuser until his retirement. He loved to fish and hunt occasionally, but his real love was always something that included his grandchildren. Mr. Griffin was preceded in death by his, parents Ava and Daniel Griffin, two sisters Essie Oder and Virgie Woodlard, and a great-granddaughter, Kaslyn Ann Barber. He is survived by his beloved wife, Peggy, of the home; daughters Danita Matthews and Vicki Woolard; and a son, Dennis Griffin; grandchildren, Clif Matthews, James Matthews, Angela Barber and husband Brady Barber , Daniel Griffin, Bailey Griffin, and Brandon Woolard; great grandchildren, Kaylee Harris and Kassidy Barber; sisters, Carole Wynn and husband, Ray and Edna Gray and husband Dalton, and a brother, Rodney Griffin and wife Becky.